Google finally completed its long awaited takeover of DoubleClick, after the European competition authorities gave the green light for the internet giant to buy the online advertising company. DoubleClick currently serves ads on the internet, and has battled with controversy over its cookie tracking system, which allows the company to see what adverts are viewed and/or selected. 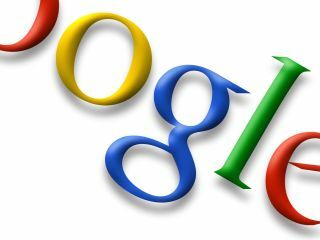 Google agreed in April 2007 to buy DoubleClick for $3.1 billion. But the antitrust implications and the opposition of companies such as Microsoft, Yahoo and AT&T led to the purchase being held up by first the Federal Trade Commission (FTC) in America and then the European Union. However, the FTC gave the go-ahead in December last year, and the European Union has now followed suit, allowing Google to complete the acquisition deal and take over management. Eric Schmidt, Google's chairman and chief executive officer, said in a press release, "We are thrilled that our acquisition of DoubleClick has closed. "With DoubleClick, Google now has the leading display ad platform, which will enable us to rapidly bring to market advances in technology and infrastructure that will dramatically improve the effectiveness, measurability and performance of digital media for publishers, advertisers and agencies, while improving the relevance of advertising for users." Although Microsoft was vehemently opposed to the purchase, the deal could potentially mean that any acquisition by the Redmond company of Yahoo would be possible. We’ve been in contact with Microsoft and are waiting for a response.